I love this time of year because it means all that work in the garden really starts paying off. Then it’s work in the kitchen! 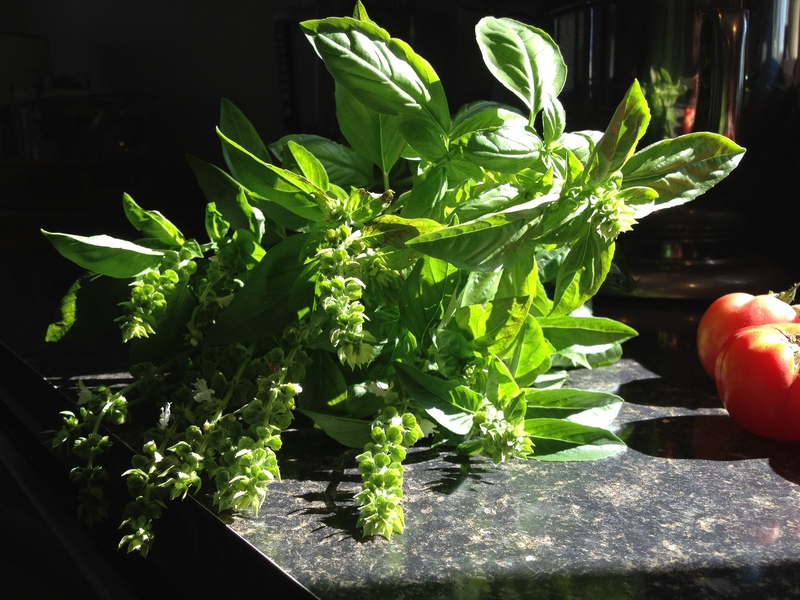 I have an insane amount of basil growing – I keep giving it away but I simply can’t keep up with it. In the next couple of weeks I will start drying some. 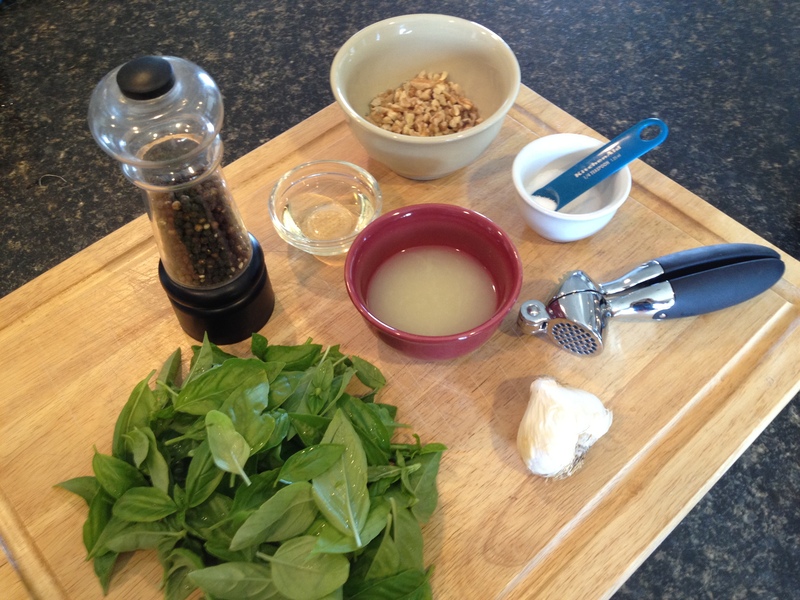 But today, I made a couple double batches of my favorite – pesto! Garlic and basil are probably two of my most favorite things, and it will be a treat to get some garden pesto out of the freezer this winter. To make a double-batch (which yields about a cup) you will need the following.. Simply throw all the ingredients into a food processor and whirl til smooth, scraping the sides of the bowl periodically. Put the pesto into small freezer containers and freeze! 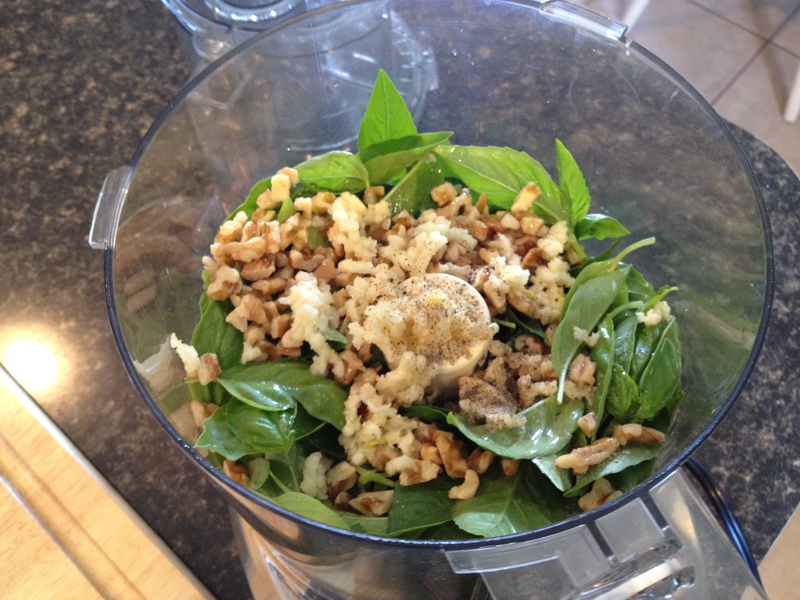 I know lots of pesto recipes call for pine nuts, but walnuts are cheaper and just as delicious. And I omit the cheese and include lemon juice so it’s healthier. Besides putting this on pasta, you can use it to make panini sandwiches, bruchetta, mix into a marinara sauce, use as a pizza topping, mix into a pasta salad, or stir a little into tomato soup. A little goes a long way so you can chisel a few tablespoons out of your frozen pesto at a time if needed for any of the above ideas. Have you ever made your own pesto? What kinds of good stuff are you getting in your garden (or at farmer’s markets) this summer? 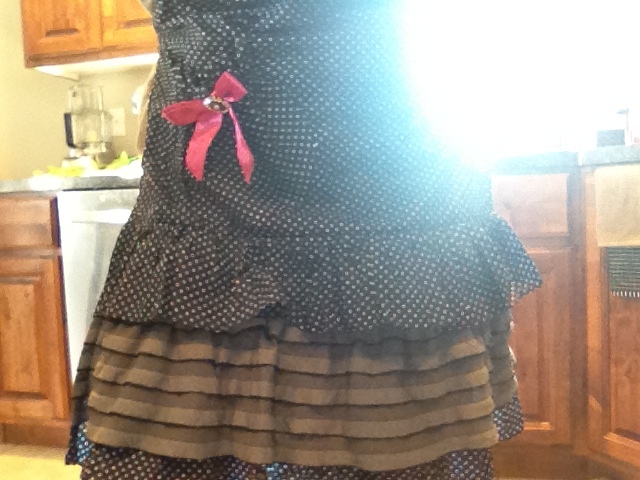 PS: Look how cute my apron is. My sister-in-law Chalese gave e this for my birthday and I wear it nearly every day and it makes me feel so 1950s housewifey. Basil & garlic are two of my favorite things as well. 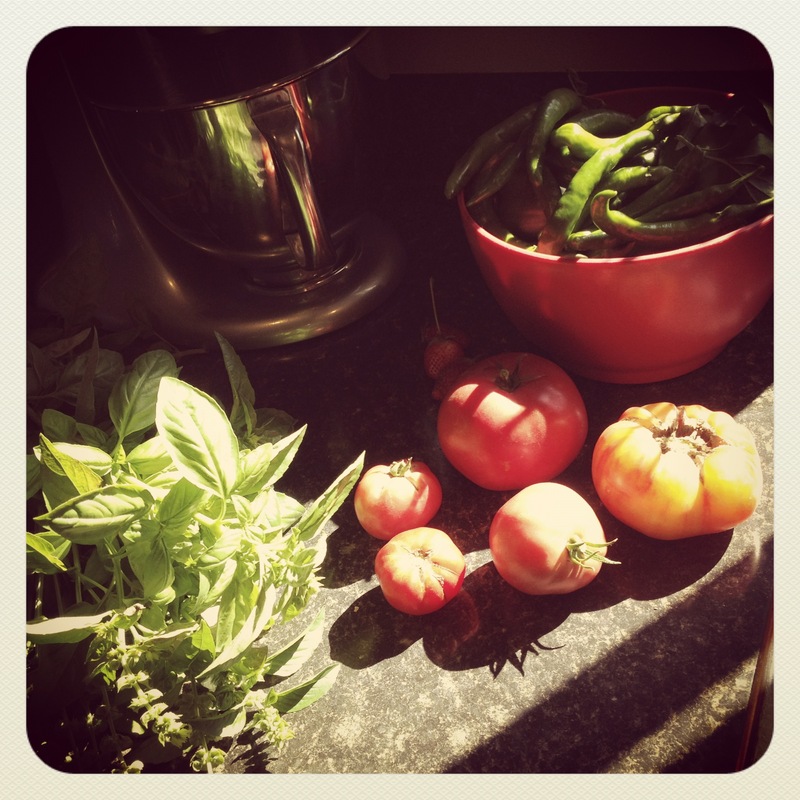 Also, tis the season for delicious caprese salads made mostly from things grown in my garden – I love it! Previous Previous post: seven year switch.